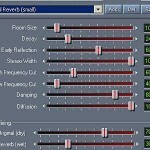 Tags: Audio mixing EQ tips, Using reverb effects in mixing. So you find it easy to isolate musical instruments with different frequency characteristics. For example if the mix is only consist of a simple vocal and a bass guitar; then even without any effects the vocal and the bass would stand out naturally because they are occupying completely different frequency characteristics. As you might know, vocals frequencies are common around 300Hz to 3000Hz while bass guitar obviously occupies below 200Hz; so finding space for them in the mix is not really a serious problem. But what about you have two or more instruments in the mix having the same frequency characteristics? This is where you can see a lot of challenges in the audio mixing process because it is becoming hard to isolate them properly in the mix. 1.) 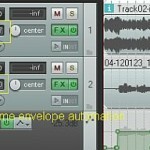 Vocals vs. the Background vocals – particularly if the lead and background vocals are both female or both male. But in case of a male lead singer with female background vocals or vice versa; it won’t be a serious problem since female voices tends to occupy at a higher range of vocal spectrum. 2.) 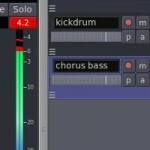 Kick drum and bass guitar – this is often a common source of audio mixing issues. 3.) Guitar vs. Vocals vs. Other string or wind instruments (violin, flute, etc.) – these instruments have the same frequency characteristics, becoming harder for them to isolate properly in the mix.